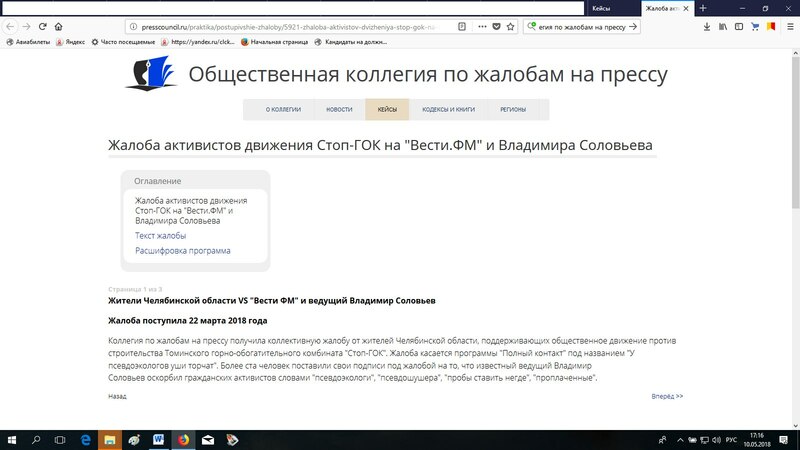 Board on complaints against the press received a collective complaint from residents of the Chelyabinsk region, supporting the social movement against the construction of the Tominsk GOK "Stop mining". The complaint relates to the program "Full contact" called "pseudoalleles ears stick out". More than a hundred people put their signatures under the complaint that the presenter Vladimir Solovyov insulted civil society activists with the words "pseudoalloy", "pseudosuchia", "try to put nowhere", "paid".